It’s easy to find famously beautiful places in Paris. What’s harder: finding beautiful spots that aren’t filled with millions of tourists, snapping pictures and gum from dawn 'til dusk. So instead of simply hitting the major landmarks, listen to the locals, and go explore some Parisian eye candy that is a little off the beaten path. While by no means a secret, this park attracts much more of a local crowd than other gardens like the Tuileries. Despite a small massacre here in 1871 -- that’s history for you -- it remains one of the prettiest green spaces in the whole city. Gilded gates welcome picnickers and joggers who want to run through the faux-Roman ruins and statues. Expect to hear a lot of French here, even though the park isn’t all that far from the tourist-ridden Champs Elysées. 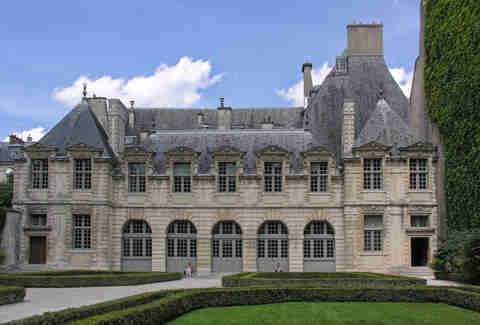 Everyone knows the regal 17th century Place des Vosges, but not everybody’s aware that a little doorway in the southwest corner leads to the courtyard and garden, which lets you out just behind the Hôtel de Sully. Secluded from traffic -- and free from tourist groups -- this place is lovely to behold, and also to hear; birds sing in the vines that creep up the courtyard’s walls, filling the space with their songs. 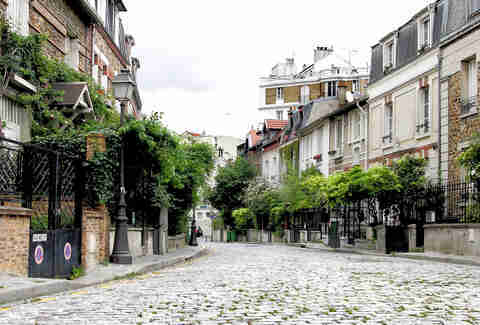 Well off anyone’s radar in the 14th arrondissement, this little spot is home to one of the most beautiful cobbled streets in Paris. It’s best in warmer months, when the wisteria is in full bloom. This spot isn’t making it into any guidebooks, since, well, there’s nothing around here to visit. 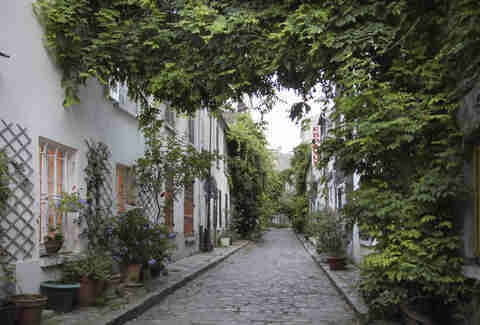 But if you’re looking for a truly Parisian stroll, you could do a lot worse. The Belleville district is known for being quirky and grungy... beauty isn’t usually the first thing that comes to mind when you think of this neighborhood. 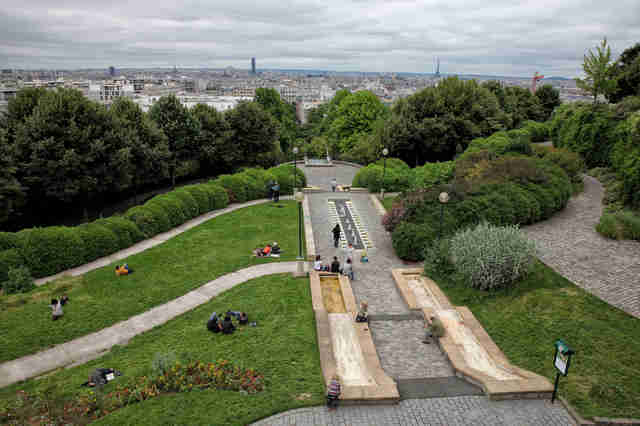 But there’s something about its little park, however, that just begs to be featured on Instagram, and the views over Paris from the top are part of it. Head down the stairs, and you’ll enjoy the park’s lovely, plant-covered arches. Literally translated as "the countryside in Paris," this tiny tangle of streets feels more like a village than part of a bustling capital city. Ivy-covered houses and cobbled streets are as picturesque as possible, and the chances of running into anyone who isn’t a Parisian are slim. 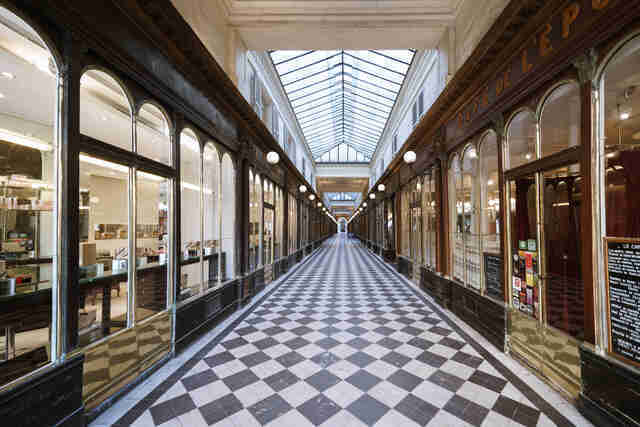 Among the most sumptuous of the 19th-century covered passages, the Galerie Vivienne still hasn’t reached the status of a tourist destination… not yet, anyway. 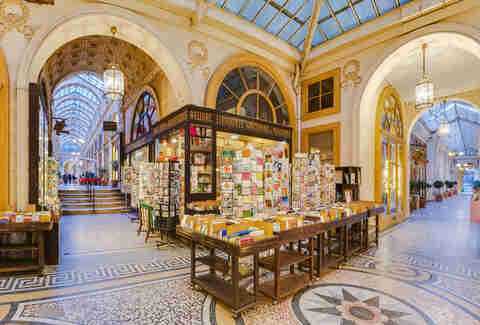 Parisians, however, know that this gorgeous passage, with its mosaic floors, natural light, and decadent stores, is worth a trip. Stop in at Le Grand Filles et Fils, where you can sip wine at a table in the passage and feel smug -- you know, like a local. Another striking example of 19th-century architecture, the Galerie Véro-Dodat is good enough for Louboutin and his ridiculously beautiful shoes -- but tourists don’t seem to wander through it that often. 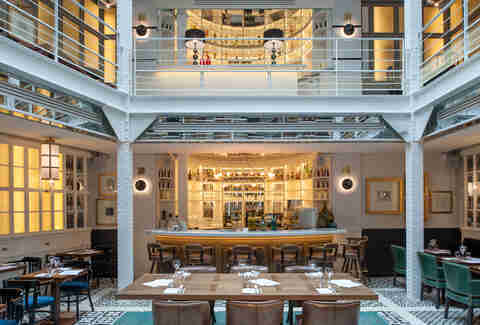 Parisians, however, know that it’s a quick and charming way to walk between Les Halles and the Palais Royal. Feel free to browse the shops, but unless your bank account has been begging for some punishment, best to keep an eye on all of the pretty decorations overhead. 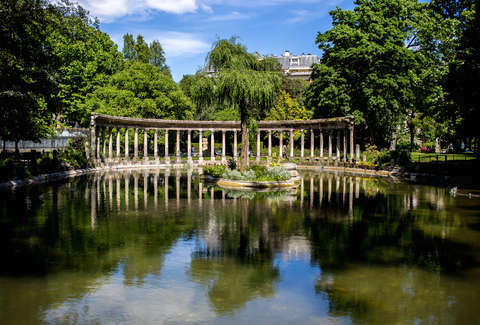 You may not wander into the Passy district instinctively (unless you’re looking to retire soon), but the gardens by the writer Balzac’s old house are simply charming. It’s not manicured and pristine like some of the more well-known gardens, but the natural simplicity here is genuinely lovely. 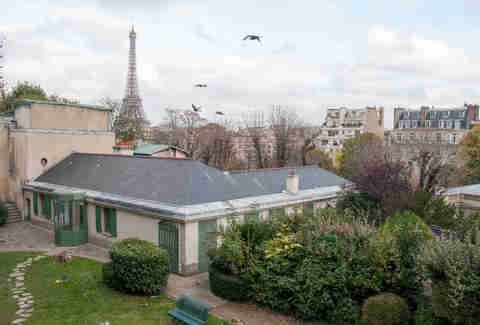 With views of the Eiffel Tower, this little bucolic oasis is a picturesque spot for a picnic lunch. Most people climb to Sacre Coeur from the front of the hill, but locals know that the best way to approach is from the rear. Heading up the streets behind the tourist drag will lead you to Place Dalida, named for the famous Italian singer who took France by storm in the '70s and '80s. 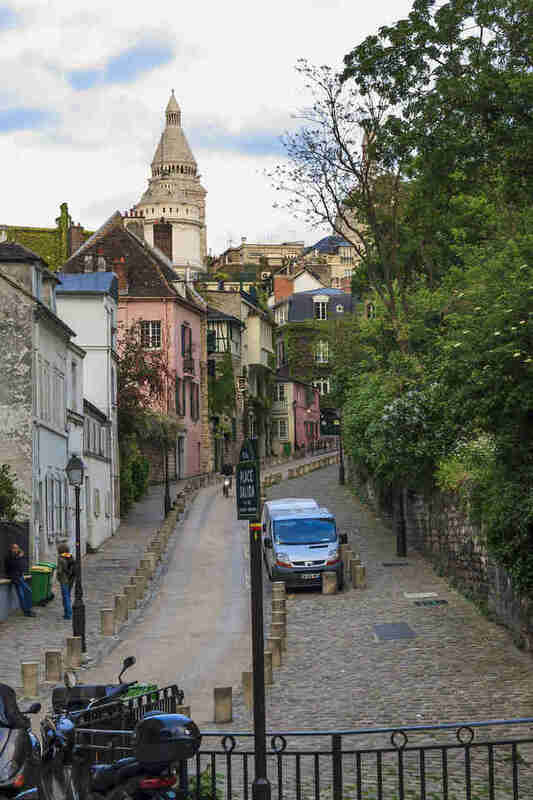 From the tiny square named after this diva, behold one of the most beautiful views of Montmartre, a winding street with the church’s white dome looming in the distance. Day or night, it’s arguably one of the most photographable streets in Paris. Pretty cafés are a dime a dozen in Paris, but there’s something about Les Chouettes that stands out from the crowd. It may be the lack of tourists... or it may be the three floors of tables and bars flooded by natural light. It’s got nothing on the other most beautiful bars in Paris, but it’s a local favorite. Oh, and the food’s pretty good, too. Buses of tourists at the Galeries Lafayette and Printemps department stores detract from the fact that these shops are so beautiful. At the Bon Marché, however, we’re free of such nonsense. 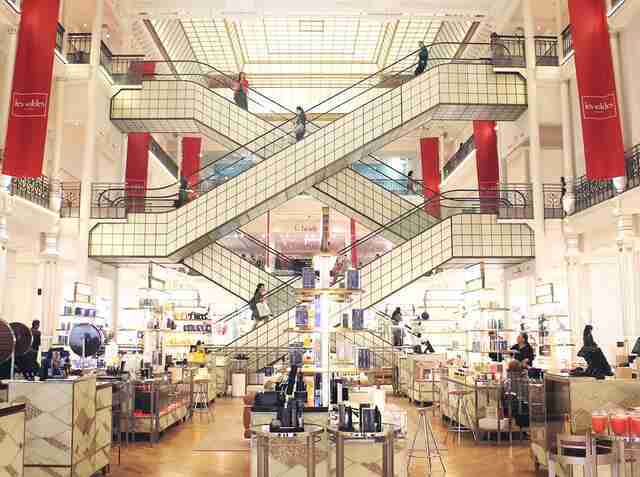 Paris’s oldest department store, tucked away at the south end of the Saint Germain district, is truly striking -- whether you’re in the fashion department, or in their massive Grande Epicerie gourmet food hall. Sign up here for our daily Paris email and be the first to get all the food/drink/fun in the City of Light. Bryan Pirolli is a Paris-based writer, photographer, tour guide, and PhD candidate at the Sorbonne who is more than likely currently drinking wine. Follow him on Twitter right here.